I was struck a little bit recently by some competing visions for what the future of computing might look like. I recommend listening to the Episode 49: Roamio and Siracusiet of the Accidental Tech Podcast. Especially listen to the show-after-the-show when they start talking about the “iPad Pro” and the future of both desktop and tablet computing in general. It is a great look at competing visions, a little, among the three hosts of that show. Also, just subscribe because it is a great podcast overall. 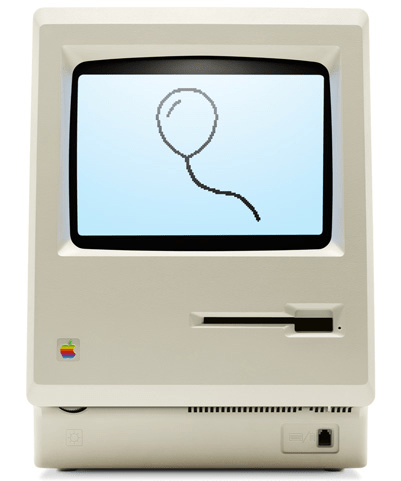 At the same time, the 30th anniversary of the unveiling of the original Macintosh was going on. The normal retrospectives, parties, tweets, and all other things one would expect to be going on during the time happened … and then this one tweet crossed my Twitter stream. I can’t quite find the words to express how much that #Mac30 Macworld interview bothers me. Feels like they buried Steve’s post-PC vision. He is speaking of the interview Jason Snell was able to land with current Apple executives for Macworld. This is another one worth a read/listen. I don’t share his fear since the article was specifically about the Mac on its 30th anniversary and also because my thoughts definitely fall along the line seeing a very important place for the Mac and OS X in the future. I wrote recently about this in regards to Steve’s Jobs analogy of a car vs. truck as tablets/mobile vs. PC. Just as trucks and tractors aren’t going anywhere anytime soon, so OS X isn’t going to be going anywhere soon. However, it does leave open some exciting possibilities. This passage from the article really hit home with the power Apple has with two distinct and complementary platforms. In fact, as Schiller pointed out, in some ways the success of the iPhone and iPad takes some of the pressure off and “gives us the freedom to go even further on the Mac.” Now the Mac doesn’t have to be all things to all people. That is straight from an executive’s mouth. That’s a really important distinction. With iOS and OS X being distinct platforms, it does give Apple an amount of freedom to really push the envelope in different ways that you would if you only had a single platform from which to try to hit the needs of everyone. That is an exciting prospect for today, tomorrow, and for the future of iOS and OS X. The flip side is that it allows Apple to keep out things from iOS which might increase the complexity and alienate the huge groups of users who are now using iOS devices who never would have sat down and used a computer. I don’t want to continually add complexity and “power” to appease users who are better served by OS X. I want both platforms to continue to push ahead in the areas they are most capable. Previous Previous post: Not Dead Yet!